Tiered dress in a purple fan print pattern. 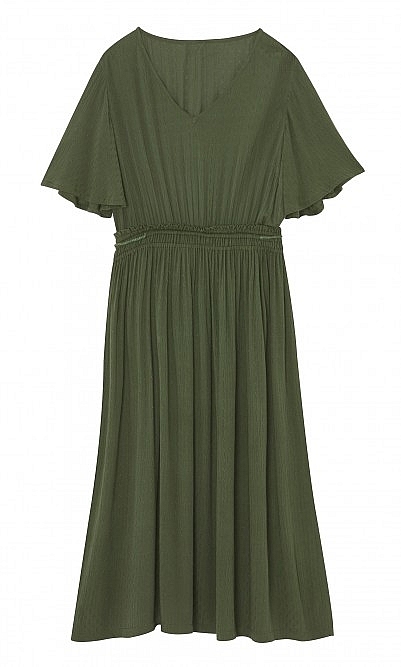 Cut from floaty cotton voile and finished with a wide scoop neck and ruffled sleeves. Unlined. Optional slip dress available. L110cm. Fabric and care: 100% Cotton. Cool machine wash.
Lovely, a little sheer but I don't mind. Will keep and treasure. I love, love, love this dress, everything I want in a holiday dress soft lightweight cotton, very pretty on, sheer over bikini, slip for evening. Thank you Plumo - perfect!